Nick Kyrgios has revealed his next move for the 2019 tennis season in the wake of his first round Australian Open exit at the hands of Canadian powerhouse Milos Raonic. The former world No. 13 ended his 2018 season prematurely after a string of disappointing performances prompted the 23-year-old to seek professional help for the mental issue plaguing his game. The Australian summer was the stage for Kyrgios return, but after drawing the on-form Raonic in his first round encounter the Aussie finds himself prematurely planning his next move, Delray Beach Open. “Honestly I’m not too sure yet,” Kyrgios told Jim Courier in the commentary booth on Saturday afternoon. “I want to get my body right and obviously, there’s the American swing and that’s about it. Kyrgios waived away conjecture over a perception he no longer wanted to play Davis Cup tennis after Bernard Tomic roped him into a stunning tirade launched on team captain Lleyton Hewit, as he stressed his fondness in playing for his nation. “There’s a lot of options, obviously, Davis Cup is a big one but it’s an exciting time for Australian tennis, we’ve got so many great players so I’m not too sure I’ll be picked,” he said. 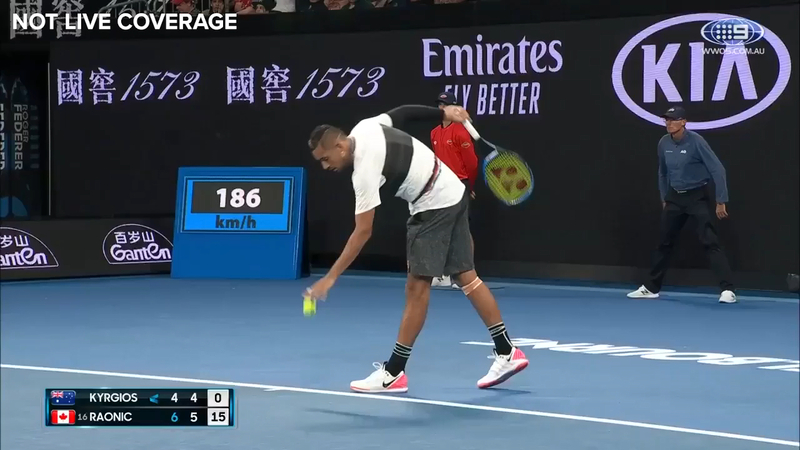 Kyrgios jokingly added he was going to miss his short time alongside Courier in the commentary booth as his brief stint in broadcast draws to an end. "I'm going to miss you guys, it was a lot of fun," he chuckled.